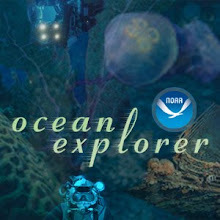 In honor of National Wear Blue for Oceans Day this January 13, 2010 here is a little ditty to get you amped … Lyrics amended from the song “Love Me Do” written by the brilliant John Lennon and Paul McCartney of The Beatles. So please, love blue too. So please, love our blue. Whoa, oh, love our blue. Write up from a blog post by Sean Cosgrove of Conservation Law Foundation mentioning the post above.